Lake Lucerne and the Gotthard, like you have never seen them before! An interactive box with 12 tableaus to fold out, open up and cut up makes the invisible visible. We want to create 12 moveable tableaus that – like pop-up books! 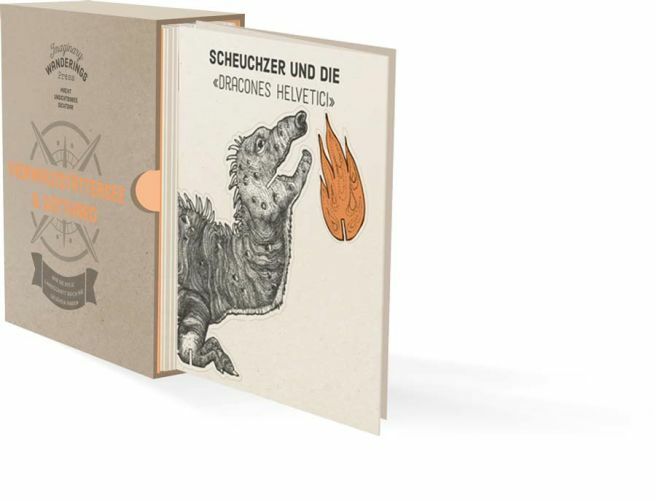 – can be folded out, opened up, cut out and set up to tell fascinating stories from around Lake Lucerne and the Gotthard region. Our prototype communicates cultural knowledge in an innovative way that invites users and spectators to engage interactively with the subject matter. Our imaginary wanderings will take you from the wide open lake over the mountain peaks to deep down inside in the tunnels and caverns of the Gotthard. Experience how fire dragons blaze their trails between the Rigi and the Pilatus, mix the paint colours of William Turner’s palette, take a seat in this gigantic theatre of sky, water, rock and forest, and be there when the turquoise-coloured Lake Uri turns into a seething ocean. We promise you: «Lake Lucerne and the Gotthard – like you have never seen them before». Don’t miss a great experience – join us on this extraordinary journey! Elegantly packaged in a stable box, there is one surprise unfolding after the other: each chapter offers an interactive instrument that you can take out and try out – a mirror, a colour fan, a set of cards… In this way, engaging with the Box will make you go through a playful «School of Scenery Seeing». An accompanying brochure with well researched and compellingly written essays will provide each individual story with additional information. The Box will be published in English and German. What is it that we want to explore? Who supports the project so far? So why do we need your help? In order to make these 12 tableaus as dazzling and as rich in content as possible we would actually need some money now. How can, e.g. a Claude Glass, that is, a black, convex mirror, be mounted on a piece of cardboard, in the same way artists and curious Nature viewers did it in the eighteenth century – and where will we be able to find such mirrors? How can we – with the help of transparencies, special paper and highly skilled folding techniques – transfer you deep into the Gotthard? And how can we achieve the visual effects that transform the calm Lake Uri into a wild ocean? contribution enables us to lay the cornerstone of our small publishing house – we will need to identify the channels of distribution and to build up communication and public relations, to organize events and much more. What we want to do is to bring our unique Image and Text Box to the public! What is our own investment? Everything else, research, writing and editing, illustrating and designing, is our own investment in working hours so far unaccounted for. No risk, no fun. Because who knows, maybe «Imaginary Wanderings Press Nr. 1» will become a long- as well as a bestseller in which case you will have greatly contributed towards its success – WE THANK YOU!!! When can you expect your Goodies? You will have to be patient (or book the Preview Trip!). Your goodies will only be sent out after the publication of «Imaginary Wanderings Press» Nr. 1 – in Fall 2016. But we will keep you informed – verbally and visually – on how things are progressing and the project is taking shape. This project ended successfully on 23/10/2015 15:00! You will receive a set with 4 postcards in original «Imaginary Wanderings Press» design by post. You will, of course, also be invited to the vernissage, which will take place – but we will only reveal this much! – in a very special location in Central Switzerland. «Imaginary Wanderings Press» will tie a nice little package together for you, a sample set, so to speak. 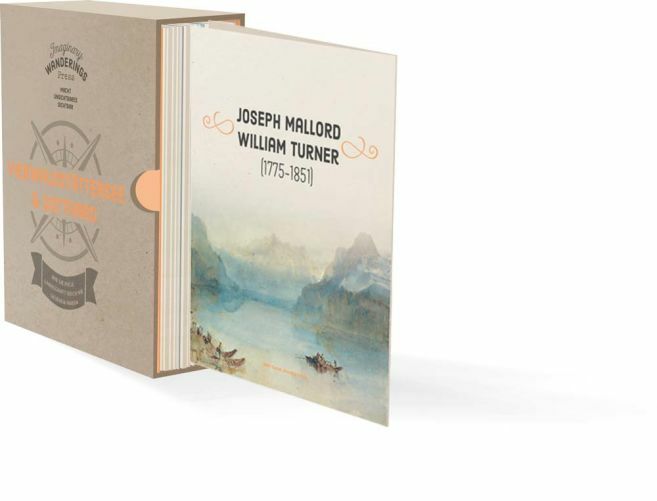 You will receive 1 of the 12 tableaus about the cultural history of Lake Lucerne and the Gotthard, signed by hand by our designers. Plus the set of postcards and the invitation to the vernissage! For all those who act with the speed of lightning: there will only be 30 copies of our Box at the bargain price of CHF 62, which will be delivered to your house, postpaid (CHF 12)! For all those of you who can hardly wait, we are offering an exclusive Off-Season-Preview Trip with the Box-Makers. We will meet on Saturday, 7 November 2015, at 10.00 am at the steamboat pier in Lucerne, irrespective of weather. Because the lake is ALWAYS beautiful, believe us! You will need to buy your own ticket but we will reserve a table on board the steamboat and invite you for a coffee and a croissant. During the ca. 2 hour- boat ride to Brunnen, we will then tell you what we are just then working on and invite you to have a look into our portfolios. And while we are walking around on the boat, we will guide your gaze to see the most extraordinary things. Welcome to our mobile atelier! This is the big support package! You will receive the «Imaginary Wanderings Press Nr. 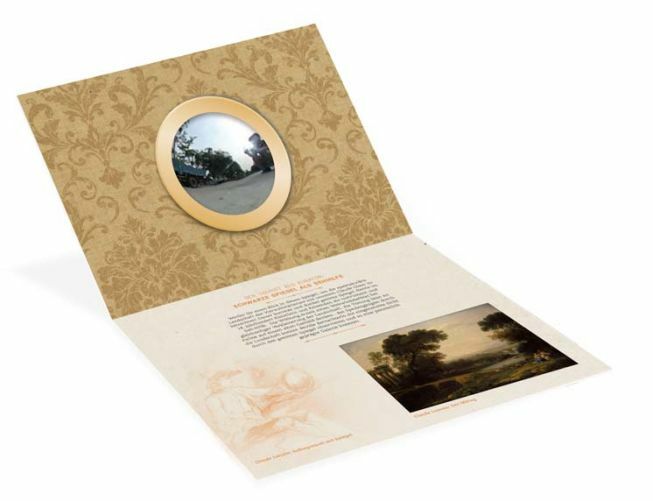 1: Lake Lucerne and Gotthard» Box, one of the 12 tableaus extra and signed by hand (to give as a present), the set of postcards and the invitation to the vernissage. For the collectors among you. There is the Box at its subscription price (CHF 74 incl. postage), and in addition something unique: the two illustrators and designers will spend one day travelling and sketching in the Gotthard region and will surprise you with an original drawing that you will get sent to you as a postcard! We will fill up a bag for you to the brim! 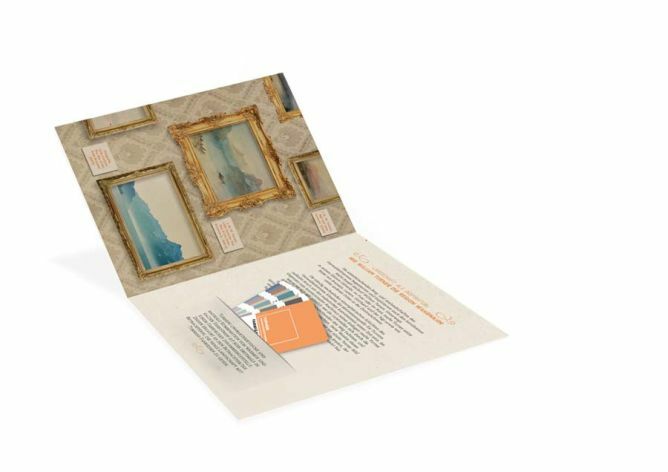 You will get everything mentioned above – the postcards, the Box, the Extra tableaus, and the travel advice. And in addition, a book package with an exclusive selection of literature on Lake Lucerne and the Gotthard: novels, books of non-fiction, historical fiction … Nobody will be better equipped to explore this landscape than you … you’d better book a long weekend in the region! On the road with the «Imaginary Wanderings Press» team. We will organize an unforgettable day in the region of Lake Lucerne / Gotthard for you, your companion, your family, and your friends (max. 12 participants). You will not have to think of anything, we will plan everything from A-Z – all you will have to do is to pay your travelling expenses and meals – with the exception of the apéritif which will be consumed in a most surprising place! Under the motto «making the invisible visible», «Imaginary Wanderings Press» achieves exceptional print products about culturally significant regions and landscapes. Who we are: Christiane Franke and Yvonne Rogenmoser, illustration and design, and Christina Ljungberg and Barbara Piatti, literary und cultural studies.